Sample classic flavors of cheddar, Colby and Jack as well as dozens of flavors of ice cream at the Tillamook Cheese Factory. If you’re hankering for a taste of Oregon, head to the coastal town of Tillamook, where craft beer, award-winning cheese and freshly caught seafood are available at this culinary cluster. Grab a bite, take a tour and pack some coastal treasure in the cooler for the trip home. Fans of Pacific City-based Pelican Brewing Company are cheering about the new taproom in Tillamook. Located downtown, the new Pelican Brewery & Tap Room is easy to find and hard to leave once you’ve found a perch at the friendly bar. Enjoy Pelican’s signature Kiwanda Cream Ale, Doryman’s Dark Ale and Tsunami Stout along with a tasty bowl of clam chowder, a basket of fish and chips or an elk burger. Watch the hardworking beer makers on the brewery floor as they brew up 10,000 barrels per year. Tours available daily. Tillamook is also home De Garde Brewing, a small farmhouse brewery specializing in unique European fermentations like Cran Bu Weisse (“a Berliner Weisse-inspired ale aged on Oregon Coast cranberries in second use Gin barrels”) and the Rougie (“a wild red(ish) ale, fermented with our local yeast and bacteria and finished with two select yeast strains in fabulously rich red wine barrels.”) An ever-rotating selection is available on tap, in bottles and in growlers for sale in the tasting room. Beginning February 1, they’re open Thursday through Saturday with limited hours. 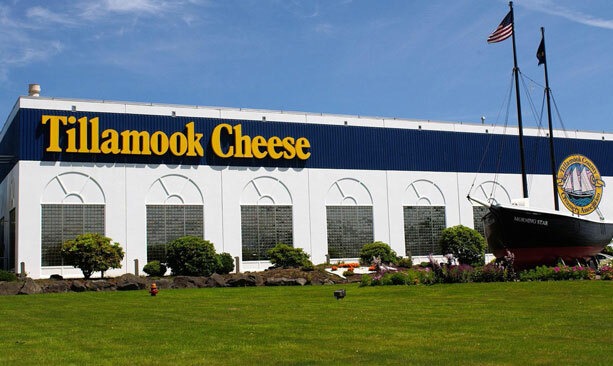 The iconic Tillamook Cheese Factory turns out more than 167,000 pounds of cheese per day. The self-guided tour of the facility offers a glimpse of production from curd pressing to baby cheese loaf packaging. Sample classic flavors of cheddar, Colby and Jack. And get in line for some serious ice cream choices. The factory has dozens of flavors, including some you can’t get anywhere else. Oregon Blueberry Patch, anyone? 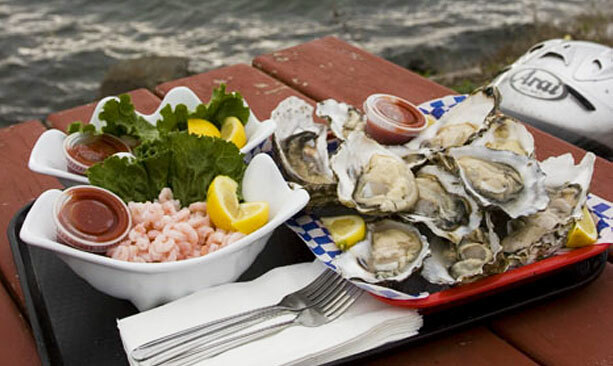 Just north of Tillamook in Bay City, find Pacific Oyster Company, which processes tasty locally harvested shellfish. Stroll down the production line and watch experienced workers shuck, wash and sort the freshly harvested oysters by hand. At the café, try an oyster shooter or a steaming bowl of chowder. And pack an order of fresh fish or crustaceans to go.